Andad sabiamente para con los de afuera, redimiendo el tiempo (Colosenses 4:5 RV 1960). Nunca sabemos quiénes nos miran/escuchan y como esto se llevará a cabo en sus vidas algún día. Ejemplo: no me crie en una casa cristiana, aunque yo pensara que era cristiana y de vez en cuando iba a la iglesia. Durante todos mis años de crecimiento, y anduve mucho, mis pasos a menudo me llevaban al lugar donde una pequeña iglesia estaba siendo renovada. Miré el progreso con interés hasta que la obra terminó y la casa aun modesta abrió sus puertas para la adoración. Esta era una iglesia IDDC (la Iglesia de Dios En Cristo), y tengo que decirles, la mejor música y canto que alguna vez oí en mi vida flotaba de aquellas paredes a la calle. A veces hasta podía oír porciones de la predicación. Muchas veces tuve muchas ganas de moverme sigilosamente adentro y afiliarme a ellos, pero la timidez me contuvo. Años después, cuando yo era parte del personal de una iglesia grande en la misma ciudad, tuve la oportunidad de llegar a conocer al pastor y a su esposa de aquella pequeña iglesia. Ellos eran los mismos que habían restaurado y habían predicado y habían dado clases allí desde entonces, criando a sus cinco hijos (los cuales todos se dedicaron al ministerio) en el pequeño piso de arriba del edificio de iglesia. Cuando me invitaron a ser parte de su ministerio para alimentar a las personas sin hogar, dos veces a la semana, proporcionándoles un refugio de emergencia, ropa, un lugar para ducharse y reunirse y hasta ayudarles con su curriculum-vitae fácilmente acepté. Me sentí rápidamente honrada de que me hubieran pedido sentarme en su junta directiva y hasta predicar en un par de sus servicios. IDDC, estaría de pie algún día detrás de aquel mismo púlpito y tendría el privilegio de dirigirse a los fieles de la congregación? Y aún así, aunque esto indudablemente nunca hubiera cruzado por la mente de aquel pastor o su esposa, aun si ellos hubieran visto que yo me acercaba, Dios lo sabía — y Él usó la fidelidad de aquella pareja para afectar mi corazón en una futura decisión que cambiaría mi vida. Nuestras palabras y hechos y acciones no van desapercibidos, queridos lectores. Incluso ahora, este mismo día, podemos afectar la vida de alguien para toda la eternidad — aún si no lo sabemos hasta que estamos a ese lugar. Que nuestra oración sea siempre que Dios nos enseñe a “andar sabiamente,” sin tener en cuenta nuestras situaciones o circunstancias, y redimir el tiempo para Su gloria. redeemingthe time (Colossians 4:5, NKJV). We never know who’s watching/listening and how that will play out in their lives one day. Case in point: I wasn’t raised in a Christian home, though I thought I was a Christian and occasionally went to church. Throughout my growing-up years, I did a lot of walking, and my walks often took me past the spot where a little church was being renovated. I watched the progress with interest until the work was done and the still-modest house of worship opened its doors. It was a COGIC (Church Of God In Christ) church, and I have to tell you, some of the best music and singing I ever heard in my life came floating out of those walls into the street. At times I could even hear snippets of the preaching. Many times I longed to sneak inside and join them, but shyness held me back. Years later, when I was part of a large church staff in the same town, I had the opportunity to get to know the pastor and his wife from that little church. They were the same ones who had refurbished it and preached and taught there ever since, raising their five children (all of whom ended up in ministry) in the small apartment above the church building. When they invited me to be part of their ministry to the homeless—feeding twice a week, providing emergency shelter, clothes, a place to shower and even put together resumes—I readily accepted. I was soon honored to be asked to sit on their board of directors and even to preach at a couple of their services. Who would ever have thought that the scrawny, bashful little girl from a non-Christian home, who just happened to “pass by” and overhear that COGIC church’s worship, would one day stand behind that very pulpit and have the privilege of addressing the congregation? And yet, though it undoubtedly would never have crossed the mind of that pastor or his wife, even if they’d seen me lingering nearby, God knew—and He used that couple’s faithfulness to impact my heart for a future life-changing decision. Our words and deeds and actions do not go unnoticed, beloved. Even now, this very day, we may impact someone’s life for eternity—even if we don’t know it until we step into that realm. May our prayer ever be that God would teach us to “walk in wisdom,” regardless of our situations or circumstances, and to redeem the time for His glory. 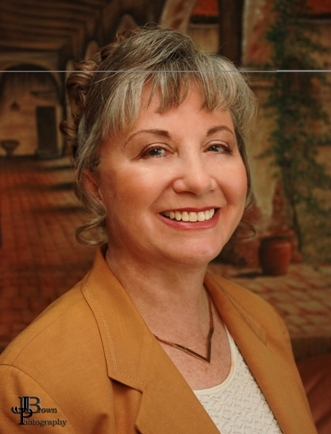 Kathi Macias, popular speaker and prolific author, is an Angel-award winning writer who has published nearly thirty books, including her latest releases, Mothers of the Bible Speak to Mothers of Today (New Hope Publishers) and My Son John (a novel from Sheaf House). Whether keyboarding her latest book, keynoting a conference, or riding on the back of her husband's Harley, Kathi "Easy Writer" Macias is a lady on a mission to communicate God's vision. Her insightful words—filled with passion, humor and soul nourishment—refresh audiences from all walks of life. Join Kathi as she hosts "Write the Vision" every Thursday from 6p.m.—7 p.m. (Pacific Time) via THE International Christian Network (www.theicn.com). To learn more about Kathi or to book her for your next event, visit www.KathiMacias.com. Spanish translations by Cynthia Alcantara (cynthia.alcantara1@gmail.com).